You'll be £15.99 closer to your next £10.00 credit when you purchase The Fall of Rorke's Drift. What's this? Order within the next 2 hours, 15 minutes to get your order processed the next working day! The defence of Rorke’s Drift inspired Victorian Britain and has featured in a classic movie and numerous historical works – it is still remembered as an iconic British triumph in adversity. Eleven Victoria Crosses were awarded to the successful defenders. But what if the Zulus had defeated the British at Rorke’s Drift? Would the Zulus have gone on to invade and devastate Natal? How would Britain’s other potential adversaries in the region, the Boers, have reacted, and with what effects on the future history of the British Empire and of southern Africa? 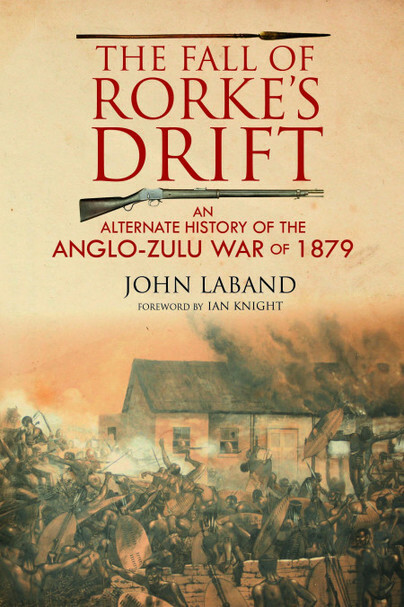 In this first ever alternate history of the Anglo-Zulu War, Professor John Laband asks – and answers – just these questions. Drawing on his vast knowledge of the period, he turns history on its head and offers a tantalising glimpse of a very different outcome, weaving a compelling narrative story of what could have been. John Laband is Professor Emeritus of History at Wilfrid Laurier University, Canada, is a Life Member of Clare Hall, Cambridge University, England, and a Research Associate at Stellenbosch University, South Africa. His books include The Rise and Full of the Zulu Nation (1997); The Atlas of the Later Zulu Wars (2002); The Transvaal Rebellion: The First Boer War (2005); Kingdom in Crisis: the Zulu Response to the British Invasion of 1879 (2007); the Historical Dictionary of the Zulu Wars (2009; Zulu Warriors: The Battle for the South African Frontier (2014); and The Eight Zulu Kings (2018). Ian Knight is a historian and author specialising in the Anglo-Zulu War. He has written numerous books on the subject including Brave Men's Blood, The Anatomy of the Zulu Army and Zulu Rising; The Epic Story of Isandlwana and Rorke's Drift.